My own involvement in this tangled affair is due to the fact that I once met someone claiming to be Carlos Allende, the mysterious individual behind a lot of this intrigue who was the person responsible for bringing the "lone survivor" of the Philadelphia Experiment episode out into the public arena. Al Bielek is a controversial figure if there ever was one. Parts of his story seemed like he lived through them alright, while a lot of the rest of the material reads like "nonsense." On the evening of April 20, 1959, an astronomer committed suicide in Dade County Park, Florida. Inhaling automobile exhaust fumes, which he had introduced from the tail pipe through a hose into his station wagon, he died in the same academic obscurity in which he had lived, unheralded and almost unrecognized in his discipline. Ironically, the scientist's only public recognition had come from lay people, who had read his series of four books about unidentified flying objects. 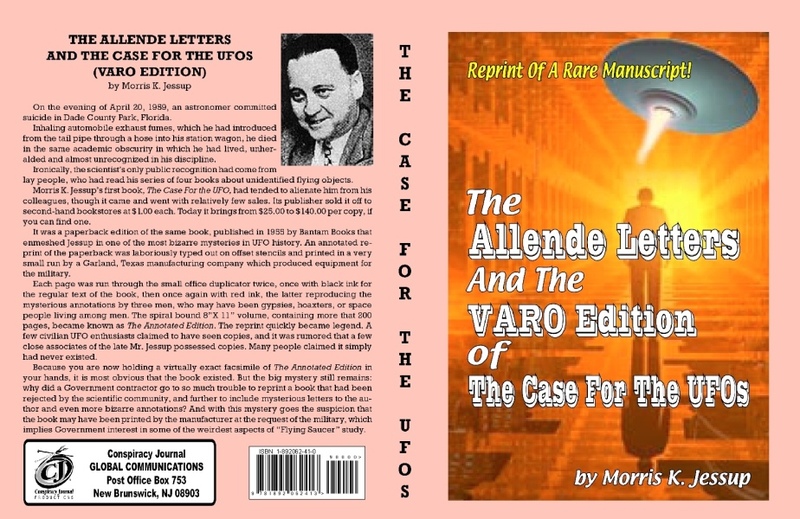 Morris K. Jessup's first book, The Case For the UFO, had tended to alienate him from his colleagues, though it came and went with relatively few sales. Its publisher sold it off to second-hand bookstores at $1.00 each. Today it brings $25.00 or better per copy, if you can find one. 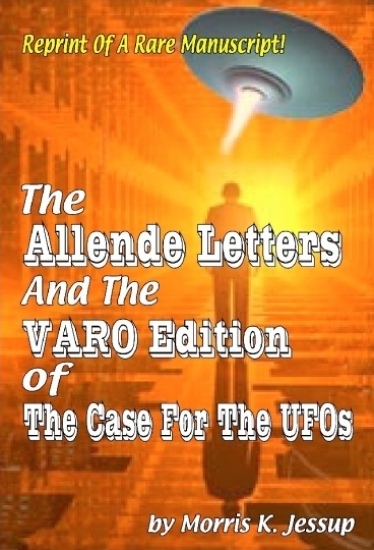 It was a paperback edition of the same book, published in 1955 by Bantam Books that enmeshed Jessup in one of the most bizarre mysteries in UFO history. An annotated reprint of the paperback was laboriously typed out on offset stencils and printed in a very small run by a Garland, Texas manufacturing company which produced equipment for the military. Each page was run through the small office duplicator twice, once with black ink for the regular text of the book, then once again with red ink, the latter reproducing the mysterious annotations by three men, who may have been gypsies, hoaxters, or space people living among men. The spiral bound 8 ½" X 11" volume, containing more that 200 pages, became known as The Annotated Edition. The reprint quickly became legend. 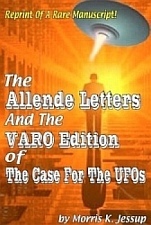 A few civilian UFO enthusiasts claimed to have seen copies, and it was rumored that a few close associates of the late Mr. Jessup possessed copies. Many people claimed it simply had never existed. Because you are now holding a virtually exact facsimile of The Annotated Edition in your hands, it is most obvious that the book existed. But the big mystery still remains: why did a Government contractor go to so much trouble to reprint a book that had been rejected by the scientific community, and further to include mysterious letters to the author and even more bizarre annotations? And with this mystery goes the suspicion that the book may have been printed by the manufacturer at the request of the military, which implies Government interest in some of the weirdest aspects of "Flying Saucer" study. GETTING INVOLVED IN THE "UFO BOOK OF THE CENTURY"